Whenever you feel that life of the cities has become too monotonous, and you need a break, just pack your bags and go trekking in Himalayas. The clean air, unpolluted and untouched surroundings, and of course the beauty of the mountains will lift your spirits for sure. 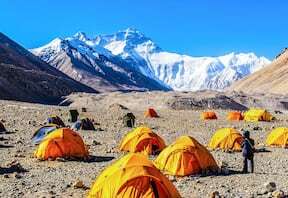 In recent times, hiking has become so popular that hordes of travel agencies have started offering well-conceived and organised itineraries for the activity. Whether to escape the urban chaos or just to spend your vacations in the lap of nature, nothing will be as fulfilling as a walk through the serene mountains. 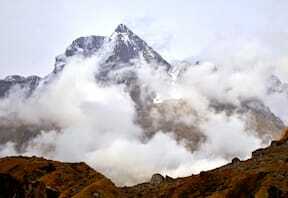 Your mind will boggle when you see how many popular trekking trails run through the Himalayas. You may choose to follow any of them after due consideration of their duration and difficulty factor. 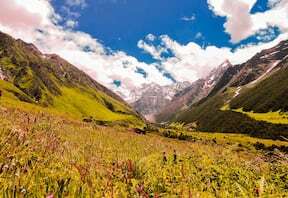 • Valley of Flowers Trek: If the sight of colourful flowers on meadows excites you, then hike to the Valley of Flowers. • Roopkund Trek: On the other hand, mystery lovers may trek to Roopkund, also called Skeleton Lake, due to the presence of human bones in it. • Chadar Trek: For the ultimate challenge, take the Chadar trek on the frozen Zanskar River in the freezing winter season. 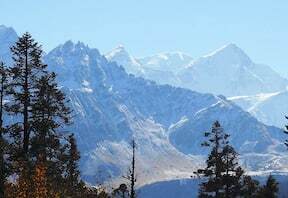 • Goechala Trek: Expert mountaineers and those who want to opt for tough and strenuous trekking in Himalayas may go all the way to Goecha La. • Hampta Pass Trek: You may take an on-foot excursion to the Hampta Pass if you are not an expert mountaineer, and want to learn the art. 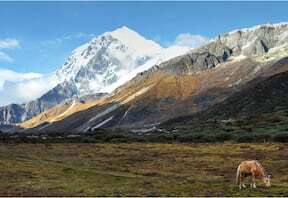 • Har Ki Doon Trek: The Har Ki Doon expedition is like a more-in-less deal as along with the scenic valley, you also get to visit the Jaundhar Glacier. 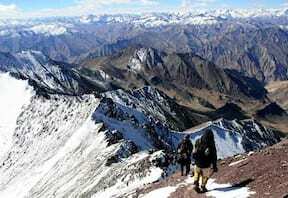 • Stok Kangri Trek: Experienced mountaineers all over the world have both done and admired the Stok Kangri expedition. 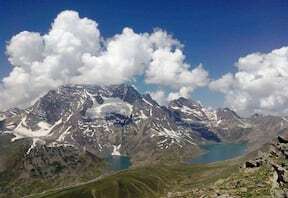 • Kashmir Great Lakes Trek: Utter divinity awaits those, who are planning to take the Kashmir Great Lakes expedition. 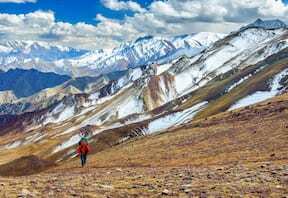 There is no particular season or time to go trekking in Himalayas as it depends both on the trail and the region, where you are planning to go. • The Valley of Flowers is open to tourists in summers and the rainy season. 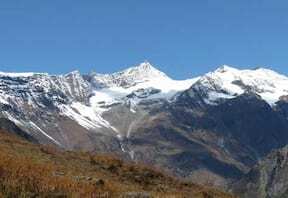 • Travel to Roopkund in summers for seeing the human remains, or venture there in winters for a more challenging and snowy experience. 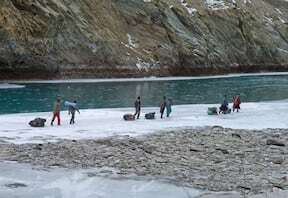 • The Chadar trek will only be available in winters as without the extreme cold, the Zanskar River does not freeze. 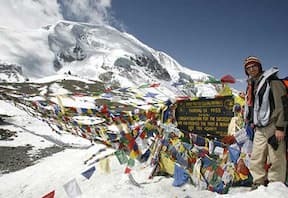 • For following the Goecha La trail, the period between March and May is perfect. 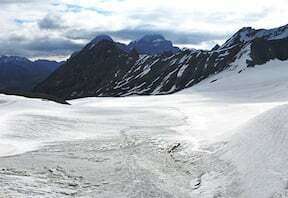 • The summer season is ideal to take an on-foot excursion to Har Ki Doon and Jaundhar Glacier as in winters, the valley receives large amounts of snow. 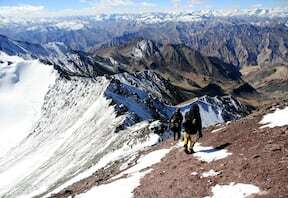 • Most travel agencies will take you to the summit of Mount Stok Kangri in the months of June, July, August and September. • Summers are again the perfect time to see the great lakes of Kashmir because the nerve-wrecking cold freezes them in the winters, and you will not be able to see their beauty then. 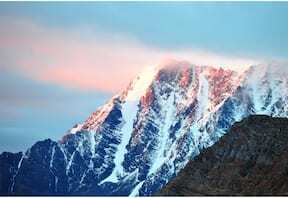 • If you want to opt for the Hampta Pass, then the period from July to September-October is ideal for the expedition. Your eyes will gaze at a huge variety of vegetation while you are trekking in Himalayas, except in Ladakh. The latter is a vast desert, and the arid climate here prevents trees and plants from growing naturally. Other hikes will give your eyes the sight of oaks and maples at lower altitudes, and pine above this deciduous zone. As you reach the temperate coniferous biome, you will see firs, deodars, cedars, birches, larches and spruces. Above the coniferous belt are lush meadows of grass, juniper and shrubs like those of rhododendron and aconite. 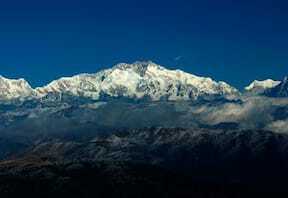 Many species of monkeys, deer, cats and bears inhabit the Himalayas. 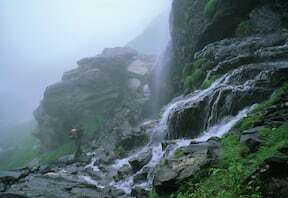 Trekking in Himalayas will bring a mixture of tough and easy sections. While on one hand, you will be required to negotiate the high gradient of slopes, on the other, you will be able to cut across flat meadows easily. The paths along the meandering rivers might be rocky, and you will have to tread carefully. Your journey on the Chadar or the frozen Zanskar River will be on flat and easy terrains. 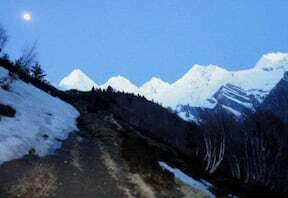 In Ladakh, the minimum temperature in winters can drop to below -20 degree Celsius. On hikes taken in summers, you will experience moderately hot weather.